Where's my trusty friend, G-Wiz? 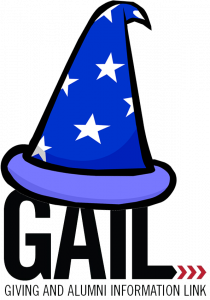 If you’ve clicked on this page, you’re probably looking to get some help with events and marketing effort using our interactive guide G-Wiz (short for GAIL Wizard). Unfortunately, the version of G-Wiz you may be used to is no longer available on the platform that previously hosted that content. But do not worry! We are in the process of giving G-Wiz a face lift. The new version will be load more quickly, look nicer, and be more intuitive and simpler to use. Look forward to experiencing the next iteration when we roll out G-Wiz 2.0. Need Events or Marketing Efforts Help in the Meantime? Not sure which Client Services member is the right person for you? We’re all happy to help! But you can also email askit@uga.edu with any question you have and one of us will be in touch. You can also reach us via our live chat feature! 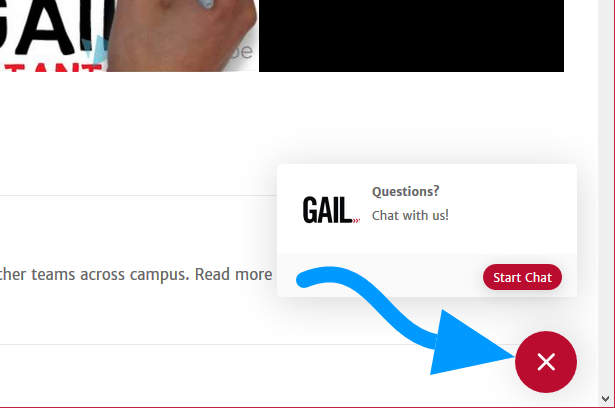 If you see a speech bubble in a red circle in the bottom right-hand corner of the GAIL resources site, just click to initiate a live chat with with whichever team member is currently available. It’s quick and easy and a popular new addition to our site — try it out if you haven’t already! If the live chat feature isn’t available, you can always send an email or submit a ticket. Just follow this link to be taken to the ticket form. We just need an email address, a name, and a short description of what you’re working on. Whew! So many choices. It’s almost too easy to get in touch with us! Some people are more into watching a helpful video or reading through some step-by-step instruction. We totally get that and prepared some resources you can use. Be sure to check out our full list of how-to guides and videos. You can find all these resources by following this link. All the PDF guides and videos are separated by their corresponding GAIL training class.